Lionel Blue, OBE, was born today, February 6, in 1930. He was a British Reform rabbi, journalist, and broadcaster, described by The Guardian as "one of the most respected religious figures in the UK." He was best known for his longstanding work with the media, most notably his wry and gentle sense of humour on Thought for the Day on BBC Radio 4's Today program. He was the first British rabbi publicly to come out as gay. Blue was born in the East End of London. His parents were Jews of Russian origin and his father worked as a tailor. Blue did not receive a religious education, declaring that he lost his religious faith at the age of 5 after a petitionary prayer failed to remove Adolf Hitler and Oswald Mosley. Instead, Blue became interested in Marxism. He entered Hendon County School at sixth form level, following education in the East End and a year out of school at age 16–17. He served in the British Army but was discharged after suffering a nervous breakdown brought on by anxiety over his closet homosexuality. Blue read History at Balliol College, Oxford and Semitics at the University of London. He regained his faith while at the University of Oxford, when he found some resolution to severe personal conflicts regarding his sexual orientation at a Quaker meeting. He also found Victor Gollancz's A Year of Grace helpful during this time, and finally became one of the first two students at Leo Baeck College for training rabbis in 1956. Blue was ordained as a rabbi in 1960. Between 1960 and 1963, Blue was the minister of the Settlement Synagogue and Middlesex New Synagogue. He then became the European Director of the World Union for Progressive Judaism. In 1967, he began a long-term engagement as a lecturer at Leo Baeck College in London. He lived in Finchley, north London. Blue made his first radio broadcast in 1967 and was a regular contributor to BBC Radio 4's Thought for the Day program for 25 years. He made numerous appearances on BBC Radio 4 and Radio 2 and produced a television program, entitled In Search of Holy England, in 1989. In 2006, a return trip to his childhood home in London's East End to mark the 350th anniversary of Jewish life in Britain was the subject of an evocative audio slideshow on the BBC News website. Blue was awarded honorary doctorates from the Open University and Grey College, Durham. In 1994, he was appointed to an Officer of the Order of the British Empire (OBE). 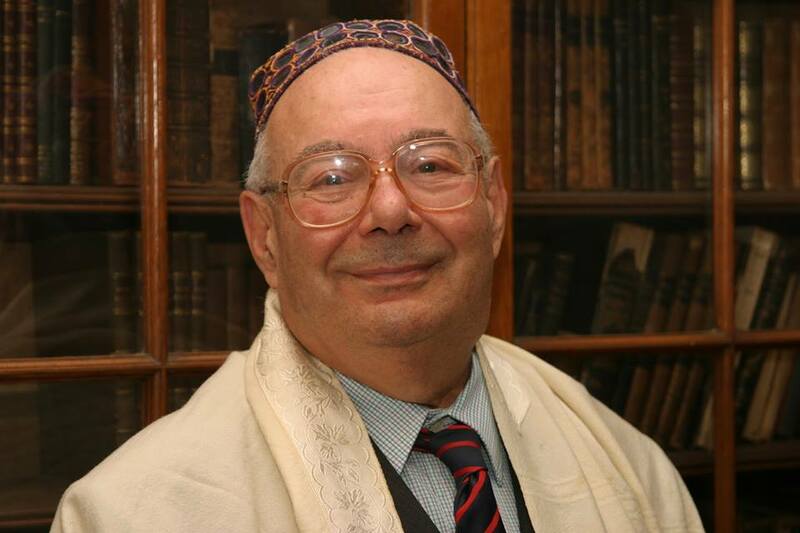 Blue was the first British rabbi publicly to come out as gay, which he did in 1980. He published Godly and Gay in 1981. Blue met his partner, Jim Cummings, through a personal advertisement in Gay Times and the two lived together from 1981 until Cummings' death in 2014. He was involved with various gay charities, including the Jewish Gay and Lesbian Group and Kairos in Soho. Blue was diagnosed with epilepsy at the age of 57; however, he successfully controlled his disorder with medication. During an operation in 1997, a surgeon discovered a tumour which tests proved to be malignant. He received radiotherapy and hormonal treatment to reduce any further growth. He was also diagnosed as having Parkinson's disease. Blue died on December 19, 2016 at the age of 86. Strangely enough, he was a particular favourite of Mrs Thatcher. 'Strangely' because it was her Government which passed that hideous law making it a criminal act to 'promote' the subject of homosexuality in schools - eventually repealed by Tony Blair's government.